Aitken Spence PLC has recorded impressive growth in financial results for the nine months ending on 31 December 2018 with a 21.3% year-on-year growth in profits-before-tax from Rs. 3.28 billion to Rs. 3.97 billion. The leading conglomerate recorded an increase in revenue of 1.5% over the previous year, from Rs. 36.2 billion to Rs. 36.7 billion for the nine-month time period. The diversified group’s profits-before-tax increased by 52.9% from Rs.1.47 billion to Rs. 2.26 billion in the third quarter, over the previous year. Revenue increased by 12.1% from Rs. 12.2 to Rs. 13.7 billion. Earnings per share for the nine months increased by 25.4% from Rs. 4.31 to Rs. 5.41, while it increased by 56% from Rs. 2 to Rs. 3.12 for the third quarter, year-on-year. 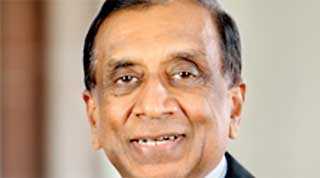 “We are pleased to announce that Aitken Spence has recorded considerable growth in profit-before-tax and revenue for the nine months and quarter. All our four sectors – tourism, maritime & logistics, strategic investments and services – showed significant growth in profit-before-tax and revenue during the third quarter,” said Deputy Chairman and Managing Director J.M.S. Brito.